Our group outings are a mix of fun on the water, socializing, and basic skills instruction. All participants will be in our tandem sea kayaks, which are very stable boats for new or novice paddlers. We'll provide instruction on entering/exiting, fitting, and maneuvering the boat, but the focus is the on-water experience. Our guides are experienced paddlers with knowledge of the local area, the skills to keep you safe, and plenty of experiences to learn from. Each guided evening paddle is three hours from start to finish with a break in the middle. We'll provide light snacks but please bring water and any personal snacks you'll want. If you've never been on Bellingham Bay or in a kayak, this is a great introduction to both! On these group paddles you will be paired up to go out in tandem sea kayaks; no need to bring a partner, we will make sure everyone has someone to kayak with whether it is another participant or an instructor. No prior kayaking experience is needed, we will go over the boat adjustments to make sure you are comfortable and in control of the boat, dress you in safety gear, go over kayak strokes, and help you get in and out of your boat. 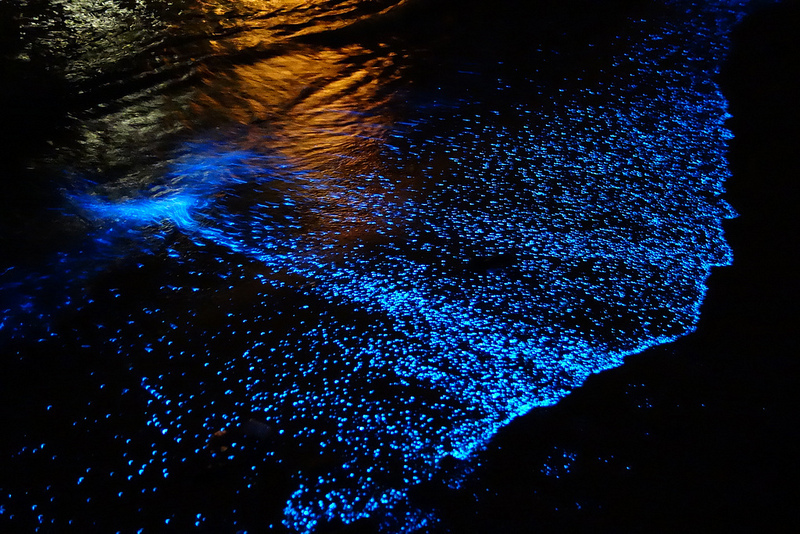 Bioluminescence is the production and emission of light by a living organism. It is found throughout marine habitats, and lucky for us, can be found locally in Bellingham Bay, where bioluminescent phytoplankton light the water each summer from June - September. Since phytoplankton are invisible to the naked eye, they are often forgotten, but when you witness phytoplankton luminesce, the experience is as unforgettable as seeing a whale. Often, our Bioluminescence Paddles sell out, so we recommend reserving your space as far in advance as possible. This paddle is only offered during the summer months when bioluminescent plankton are visible in Bellingham Bay. Bring family, friends, or a date! Bioluminscence is a magical experience for any and all to enjoy together. Custom dates and private tours available upon request! Want to see if sea kayaking is for you? Our Coastal Explorer is a great way to explore what sea kayaking is all about. Participants will be paired up to go out in our tandem sea kayaks, as tandem sea kayaks are much more stable than singles, minimizing the possibility of tipping the boat. 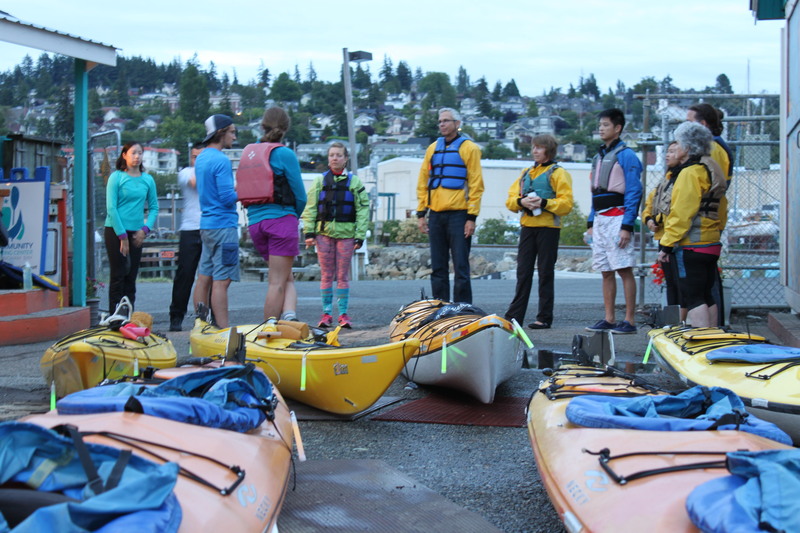 Learn the basics of sea kayaking while experiencing breathtaking Bellingham Bay. 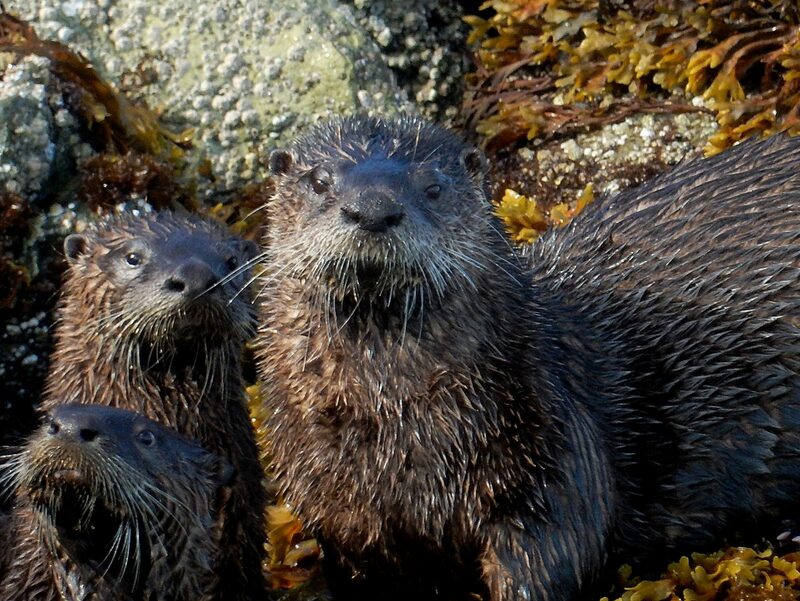 Learn about the native flora and fauna of the Salish Sea while gaining confidence on the water. This paddle is perfect for those looking to spend a few hours on the water, get an easy introduction to sea kayaking, or to see if they might be interested in progressing into our Introduction to Sea Kayaking course. This tour is also a great way to gain experience in a tandem kayak before a night paddle.